Jennifer from Germany had kindly written to ask me if I'd like some Yacon. You don't turn an offer like that down but I didn't realise what I was asking for! 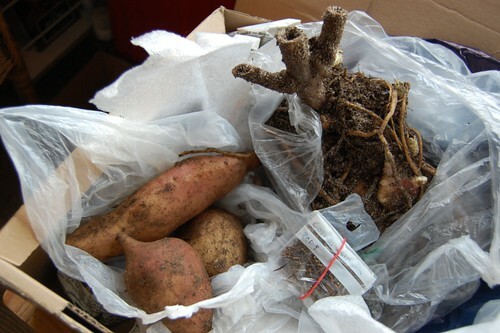 Today this huge box of a Yacon growing start, some storage tubers (the part you eat) and several packs of lovely seeds arrived. I am thrilled and so pleased. It was wonderful to receive such a well packed and thoughtful gift. Thank you Jennifer, very much.